I know what you’re thinking: Moving to Tokyo is going to be a whole world of stress. That’s what I thought at least. There was the language barrier, the fact that I had no idea where in the city I wanted to live and the innumerable articles I’d read online providing helpful information on just how next-to-impossible it was going to be. It’s true that setting up in Tokyo isn’t always a straightforward process. Some things can be frustrating and others surprisingly easy. It just takes some time and a little insider knowledge, rather than just trying to wade through the mountains of information out there. It’s actually not as hard as you might think. In order to bust the myth that moving to Tokyo is some sort of hoop-jumping, bureaucratic hell, I’m sharing my not-so-hellish experiences. Hopefully, you’ll get a good idea of how to set up your life in Tokyo. First of all, Tokyo is vast. Equal parts exciting and daunting for someone trying to set up home in the city. The multitude of municipalities that make up the megalopolis present the problem of which corner you should call your own. Discovering the capital’s many neighborhoods is best done by exploring. Property is advertised by railway lines, so hop on the train and jump off at different stops, walk around and try to imagine what your daily life would look like: Is it near a shōtengai (shopping arcade)? Close to restaurants? Somewhere more residential? There’s also price to consider. The website Suumo Journal, run by job-recruitment agency Recruit, says the cheapest rents in order by station proximity are Nishi Takashimadaira (Itabashi Ward), Kasai Rinkai (Edogawa Ward) and Kita Ayase (Adachi Ward). Note that none of these lie within the Yamanote Line loop, the part of the city that’s generally considered to have the highest land prices in Tokyo. According to real estate information site Lifull, the average rent for a 1K (one room plus kitchen) or 1DK (add a dining room) apartment in Minato, Chiyoda, Chuo, Shibuya, Meguro and Shinjuku wards are all above ¥100,000. The cheapest wards are Katsushika, Adachi and Edogawa, respectively. For those without the savings to secure an apartment, share houses or government-run UR (Urban Renaissance) Housing could be a good choice. Share houses are easy to come by and budget-friendly, but make sure to read the reviews; they come with the downside of not knowing just who you might be sharing with. For everyone else, there’s the good old estate agent. If you can find a Japanese person or company to act as a hoshōnin (guarantor) — which is a huge responsibility — you’ll have better luck. It turns out that getting a place in Tokyo isn’t too hard. I was surprised to find that I didn’t need a hanko (name stamp), Japanese job contract or even a local phone number. In some cases I was directed to so-called gaijin (foreigner) outfits, but they can actually make the process more confusing and limiting. Estate agents inhabit every corner of Tokyo — some in bleak little offices above a shop, some with massive fanfare and balloons marking their location. Set your eyes on an estate agent in the area you’d like to live and see if they have an English-speaking staff member. A pro tip here is the same one you’d use to gauge a good restaurant: If it’s full of locals, it’s probably alright. So if you walk into a realtor’s office and it’s fairly busy, it might be worth the wait. You’ll need some savings, though. Money talks, kids — it’s the universal language. The majority of landlords ask for reikin, usually called key money, and anywhere from one to three months’ deposit, as well as proof of regular income. Something nobody told me about Japan’s estate agents: most of them are closed mid-week and open all weekend, reflecting Japanese free-time. This can affect the turnaround if you want to move in someplace fast. Luckily, properties are usually empty and estate agents and landlords want money, so you could be moving in before you know it. For me, the process from start to finish took five days — five! After you’ve secured a place to call home in Tokyo, the next challenge will reveal itself in the form of not having an actual bed to sleep in. Property in Japan doesn’t usually come furnished — in fact, you’ll be lucky to get lights. On the big move-in day, like I was, you’ll be greeted by an “Animal Crossing”-esque empty space. The first piece of furniture you’ll probably want is a bed, or you could be facing your first night on the cold hard floor. Ikea and Seiyu sell roll-up, vacuum-packed mattresses that you can walk out with on the same day: No waiting required. After the bed? Everything else. You’ll want to make yourself some food, maybe even a coffee, to celebrate your accomplishment — you’ve got yourself a place in Tokyo, after all. Find your nearest 100-yen shop for the basics: plates, glasses, cups, cutlery, chopsticks, coffee filters and so on. Ikea, Nitori and Rakuten are also good, but nowhere near as cheap or convenient. Stop off at your local konbini (convenience store) to grab enough stuff to keep you fed and watered until you can eventually forage for more. Get online and Tokyo’s ever-rotating community of immigrants and expatriates will open up to you in the form of Facebook groups. Tokyo Sayonara Sale is a well-run group where members sell everything from plants to sofas for a snip. Some people even sell off everything in one go, which is an easy way to get your whole place kitted out — if you don’t mind feeling like you’re living someone else’s life. Even more bargain-friendly, Mottainai Japan is a waste-not-want-not group where members advertise their unwanted wares for free. Craigslist is the old classic, handy in locating furniture for sale nearby; Japanese site Jimoty is similar but superior, with more stuff up for grabs. Both, however, are slow-moving compared to the Facebook groups. Hit up flea markets around Tokyo for bargain buys to make your house a home. Radios, books, pottery, artwork … you can discover anything and everything at these places. They’re also a glimpse into a more rough-around-the-edges slice of the capital. Tokyo City Flea Market at Oi Racecourse is on every Sunday. Get there at the 8:30 a.m. start time for prime bargain-hunting. Shinagawa Intercity Flea Market is handy for when it’s raining since it’s all under cover, and Ajinomoto Stadium Flea Market is huge, but you’ll need to pay to get in between 8 a.m. and 10 a.m. — which is when you’ll find the best deals. If you’re on a budget — and you probably are, having shelled out key money and that hefty deposit — then don’t stress yourself by trying to buy everything at once. Patience pays off. Japan may be perceived as a futuristic wonderland, but getting online in the capital is no mean feat. Before you even think about setting up the internet in your cool new pad, you’ll need a phone. But you’ll need the internet to get a phone. Cafes with wi-fi — like my personal haunts, Cafe Gusto and Caffe Veloce — are lifesavers. There are a selection of phone companies who’ll sort you out with a number and data without a contract, and at reasonable prices. Apply online, pay the start-up cost at a konbini, and the SIM is delivered the next day. JP Smart SIM and Sakura Mobile are good stop-gaps before deciding whether you want a long-term contract. Now you have a phone, you can call the internet company. Check with your landlord what lines are connected in your building. Big companies like NTT have foreign-language services and support who’ll talk you through options and installation. You’ll also need a phone to set up your gas, electricity and water. Don’t worry, most of the larger utility companies have English support. You have your home, you’ve kitted it out with funky finds from the flea market, and you even have wi-fi. Now it’s time to live your new Tokyo life. Walk around your local area. Uncover all those hidden eateries and cool cafes just around the corner, drop by the bakery up the road to buy fresh bread, snoop around record stores and book shops. I’ll often try to leave a little early so I can walk instead of taking the trusty train. Discovering the world between stations is worth it — you’ll have a much better idea of where you are in relation to everything else in Tokyo. There’s a whole host of online networks to get yourself involved with; organizations such as Hands On Tokyo welcome volunteers, as does Second Harvest Japan and TELL Japan. For making actual friends, Japanese or not, shared interests are the best way to go. Outdoor Club Japan (a hiking club) goes walking and drinking, for example. Just join a group, keep showing up, and eventually the conversation will flow. Moving to a new city isn’t easy. Things aren’t going to be dreamy the whole time. Sometimes the best thing you can do is to be kind to yourself. Even if that just means treating yourself to some tasty snacks the local konbini. Alleviate the uncertainty of setting up in a new city and find yourself a good place to stay while you get yourself sorted. You’ll have an address to register, so you can set up a bank, find a job (if you need one) and get stuff like a SIM card sent to you. Plus, you’ll have internet. 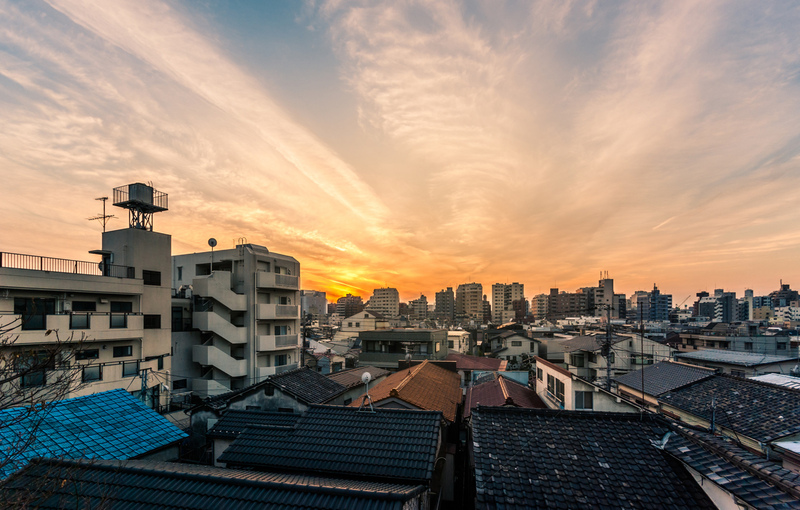 Whether you’re looking to move to Tokyo for an experience, work or even for a relationship, you’re more than likely going to need somewhere to crash when you first rock up in town. And this is a good time to decide whether you really want to take the leap and sign on the dotted line for an apartment. 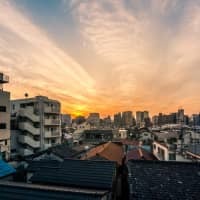 Hotels are often centrally located, but can be expensive and eat into your budget, especially in Tokyo; hostels are cheaper and sociable but lack privacy and can be really annoying long-term. This goes for couch surfing and even share houses, too. Airbnbs are the best and (usually) cheapest way to get yourself acquainted with a city. But Japan’s relationship with the service is tenuous. I stayed at a place in the countryside, which was nice but a bit remote. I saw an estate agent in Tokyo when I first arrived, went to a tiny fishing village in Wakayama Prefecture, and kept in touch with the agent via email. I felt like making that initial connection put me in a good position to get a place easily. It was also a good time to take myself away from the bustle and make headway on my Japanese. Then I was able to return to Tokyo like a pro.